A full week of homecoming festivites and celebration for the Braves is underway this week. It's all homecoming celebrations for students at Banks High School this week leading up to the big dance this weekend. 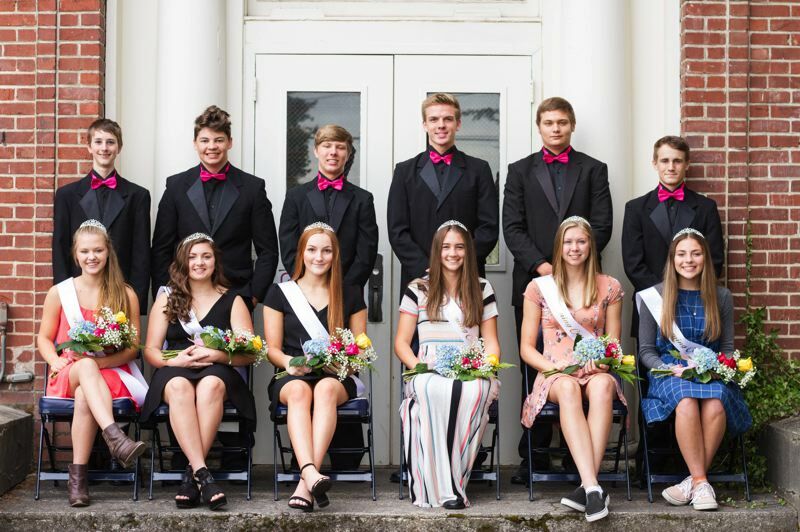 On Monday morning, Oct. 1, the week kicked off with an assembly at the school where the six homecoming princesses were announced. The princesses include freshman Amanda Losli, sophomore Lillia Schoegje, junior Kaylen Storms and seniors Marissa Dotson, Aspen Slifka and Akaysha Stewart. The theme for the this year's homecoming week is movies and cinema, with each grade level taking a different film genre theme: action films for freshmen, romance films for sophomores, comedy films for the juniors and horror films for seniors. Each day of the week, there is a different dress-up theme and lunchtime competitions, including a human ring toss, marshmallow relay, toilet paper teacher race and more. On Friday, Oct. 5, the homecoming assembly will be held at the school starting at 12:35 p.m. During the assembly, students will perform rehearsed skits and compete in a relay competition. Following the assembly, students will be dismissed to view the homecoming parade, which begins at 1:55 p.m.
"After the parade, students will return to the gym for a final class competition, a bracket-style tug-of-war," said Lindsay LaJoie, the school's leadership advisor. "All freshmen will face off against all sophomores; all juniors will face off against all seniors, and then the winners of each will face each other for a final tug-of-war. Points will then be added to announce the class winner of homecoming." The homecoming queen will be revealed during half-time of the football game that evening as the Braves take on Valley Catholic at 7 p.m. The princesses will be invited to the field with their families, where a a trunk-pop on their cars will reveal the queen. The homecoming dance will then take place Saturday, Oct. 6, from 7 to 10 p.m.